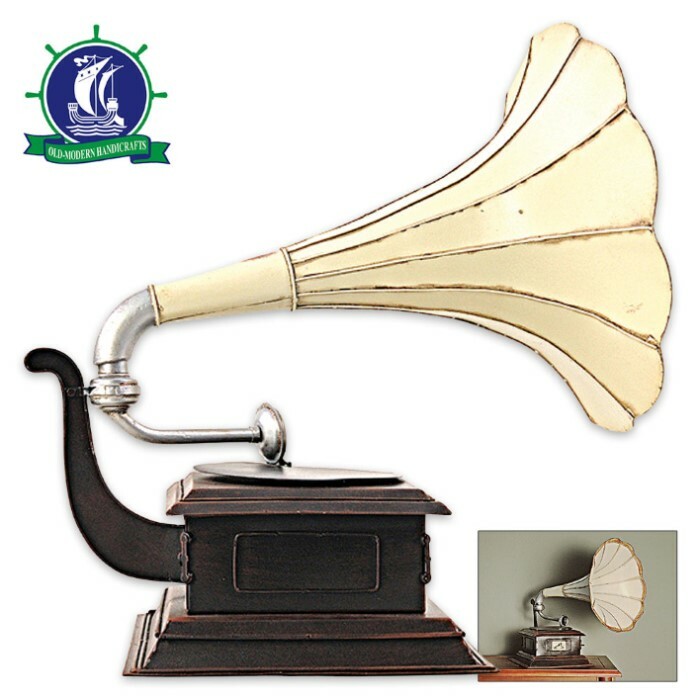 Replica 1911 HMV Gramophone Monarch Model V Horn - Edison Opera Phonograph Model - Full 1:1 Scale | BUDK.com - Knives & Swords At The Lowest Prices! This stunning 1911 HMV Gramophone Monarch Model V Horn replica adds class and charm to any space in your home or office. Master craftsmen painstakingly build each model at full 1:1 scale, using genuine wood and iron, just like the original. 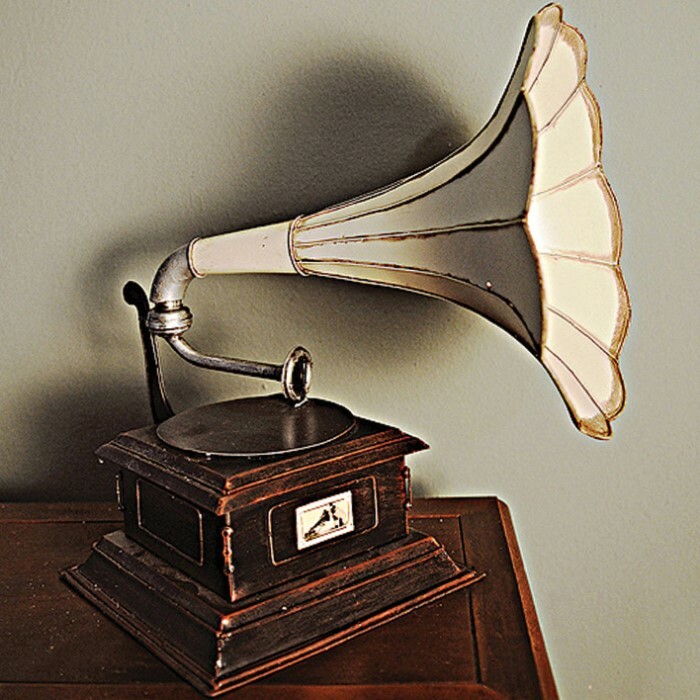 Each model features myriad fine details like the original HMV logo, which depicts a small dog - "Nipper" - listening to his master's voice on a wind-up gramophone. 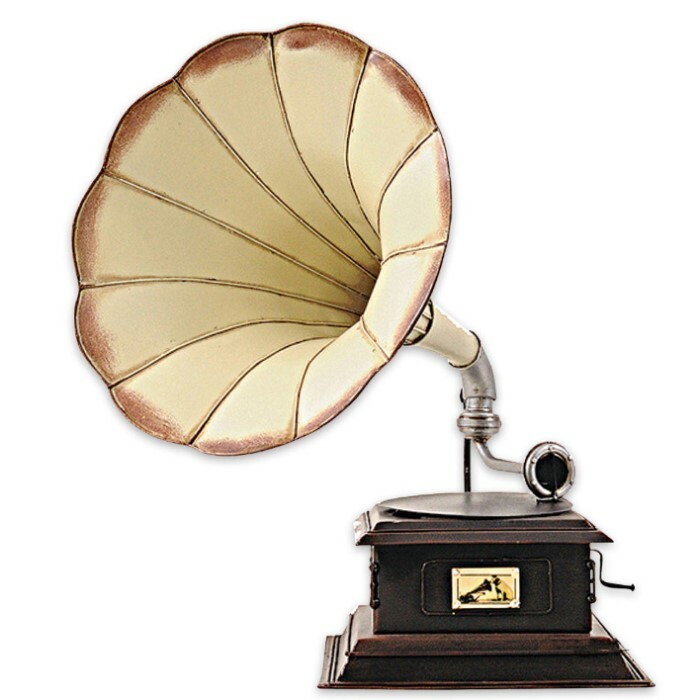 A must-have for the collector and enthusiast! Ships directly from manufacturer.